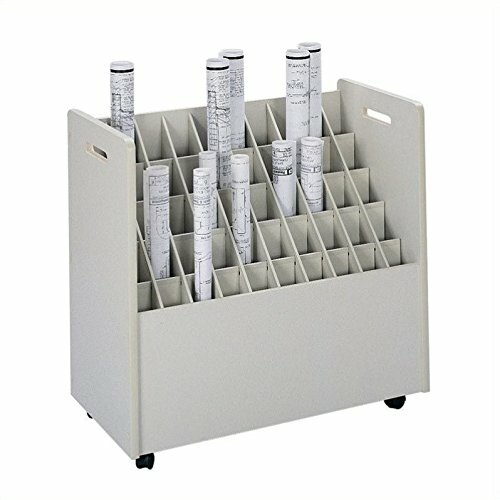 The Mobile Roll File is an economic organizing solution perfect for work-in-progress. Roll file makes your office a multitasking workspace. Complete with a grandstand design with 50 square tubes compartments 2 3/4"W x 2 3/4"D for trouble-free removal of contents. Attractive and sturdy, constructed of particle board with an attractive textured vinyl laminate finish. Easily mobile on four 2" swivel carpet casters.